Axes met the hard ground, as deep voices rose in song in the air. The smell of dirt and soot met my nostrils, matching the odor of Tarquin’s filthy shirt and baggy workpants he insisted I wear. “Do I have to wear this?” I moaned, embarrassed to wear Tarquin’s clothes, instead of my usual green cotton dress. “Oh, please!” I rolled my eyes. But his calculating gaze silenced me, reminding me of only a few days ago when he’d tried to help me after I’d fainted. I needed to guard myself against this strange man. Besides, he was right. Disguising myself as a miner was the only way I’d could be in this mine where Summer and Autumn joined together—where the great healer must be waiting for us. “So, Prima, use your powers to find him,” I challenged her. “So we’ll just have to wait till it gets dark to read the stars?” I said sarcastically. Tarquin watched us but said nothing as we squabbled back and forth. He set down the “sack of gold” that kept moving restlessly about. Kari was too small to pass as a miner, so he had to pass as our bundle of precious metal for today. Prima and I laughed in relief at his obvious idea. Of course. You’re right, Tarquin, I thought, half amazed and half embarrassed. You’re always right. You’re one of the smartest people I’ve ever met, not at all dulled by the fairies’ spells to make humans docile. But that’s not what I said. “Hey, sir, have you seen Gesu?” Tarquin asked a middle-aged miner. The man was bent over rocks, hacking his axe recklessly in search of the treasure Queen Hazina greatly desired. “Who?” he mumbled, not looking our way. “Nah, if I had seen a great healer, my wife wouldn’t have passed on from the plague yesterday. And if there was any great human, they wouldn’t have allowed the fairies to take my children…” Crash. The axe shattered a large rock in half, stunning me. So, the plague had spread to Autumn as well. What was happening to Istagun? My people, enslaved all their lives, now had to die from a horrid disease, but for what purpose? Why did fate so despise the human race? Tarquin swallowed, glancing at me for a second. I blushed. So, the middle-aged man saw past my disguise. “How can I think of an imaginary healer when my family is gone from me!” The man spat at the ground. “My wife and I only saw glimpses of our children’s newborn faces. And now even she’s gone. The blasted queen is up to something!” He wiped his hand over his face, shaking his head. I longed to embrace this poor man who had lost everything. I imagined my parents had felt the same way as this miner when Hollis and I had been taken to Spring as soon as we were born. Bitterness rose like a burning fire within me. Queen Hazina knew nothing of what she was doing to her subjects. She knew nothing of pain. Traveling deeper into the mine pit, we questioned several other men about Gesu before giving up. They had never heard of such a man. I wondered if one of the miners was my father, but I had no idea how I’d be able to recognize a man I’d only seen vaguely in my dreams, or how he’d recognize me. By evening, we climbed to the other side of the steep mine pit, worn out from the days adventures. We had every once in a while sneaked Kari briefly out of the sack, so he could breathe more deeply. Now we faced the main portion of Autumn. I gasped. For a moment I thought the forest was on fire. Then I saw that the trees were not green as in Summer, nor pink as the cherry trees were in Spring. Instead the leaves were glorious yellows, oranges, reds, and browns, like nothing I’d ever imagined. It was beautiful. “Maybe getting older isn’t so bad,” I joked, though amazement filled my heart. Oh, sure. What a coincidence! I laughed silently to myself. He was just trying to gain my approval. We found the river, let Kari out, and cupped water into our hands to drink. Prima drank deeply, but Tarquin and I only had a few sips. Kari, too, drank very little. “You need to drink more than that, Kari,” I urged him. Tarquin glanced at me and shrugged. We drank heaping scoopfuls after another, eventually racing each other to see who could drink more. Much to my relief, this encouraged Kari to drink as well. Finally, we sat back and relaxed against rocks, satisfied. I hadn’t realized how refreshing it was to drink water, regardless of its awful taste. I remembered when I’d sent Rhia to the river. I realized with sudden sadness that she’d probably come back to the hut by now, only to find it completely empty. “What’s are next plan?” Prima asked, glancing between Tarquin and me. “She’d take away a great healer, that’s what she’d do. I bet a hundred sacks of gold she captured him or even…” Tarquin’s eyes sobered. With her insistence to the guard fairies that she was abiding by the queen’s orders, Prima helped us enter the center of Istagun. Of course, we had to be escorted immediately by one of the guard fairies to the queen’s palace. Since Prima could come up brilliant excuses for anything, we were able to let Kari out of his sack to breathe and take in the wonders. 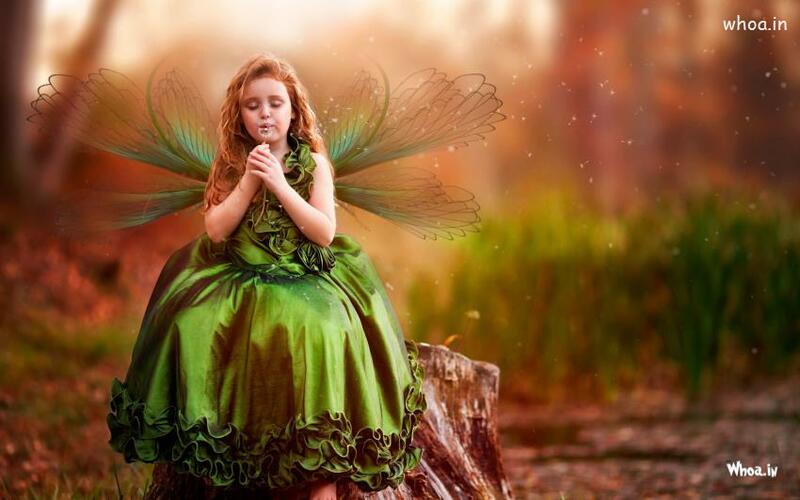 As we followed the curt, no-nonsense guard fairy, we looked around us at the village of fairies—fairies of all colors, shapes and sizes, flying about, chirping, singing, dancing, or hurrying to obey Queen Hazina. The village was in a valley, under the gaze of a towering mountain. We stared at it in amazement. A large oak wood door elaborately decorated stood before us at the base of the mighty mountain. “Sure has a lot of space,” Prima said with a short laugh. As we followed the silver fairy through the dark stone halls, we gasped. Sharp cries filled the musky air, while torches lit the far ends of the wide halls, revealing prisoners trapped behind bars. Most if not all of them were brown skinned with green leaves for clothes—or were some growing out of their heads? They wailed loudly, so I covered my ears. Was Gesu among them, here in the dark? We could not see. Then I looked down at Kari and saw he was crying. I bent over and picked him up. I carried him on the side of my hip as he buried his sobbing face in my shoulder. Prima clutched hold of my hand, her wings fluttering softly, but I knew she was crying, too. I tried to rise above my sadness, to be the comforter rather than the one who needed comforting. I had cried too much today. And I couldn’t let a tear fall in front of Tarquin. “What is the queen’s purpose in imprisoning these people?” Tarquin asked the silver fairy. I knew he was trying to speak only out of polite curiosity, but anger edged his voice. His casual words echoed down the stone staircase. I shivered, and as I held Kari on my hip, I looked down at my hand. Alarm roiled through me. There was a single red tumor in my palm, enflamed as red as a Summer sunset. I stared at my trembling hand. I had probably drunk almost a gallon of water at the river. I set Kari down, so I didn’t have to carry him up the steps. At that, we finally reached the top of the steps, where another large door welcomed us. We stepped into an enormous room, decorated almost entirely in gold. Before us sat the gold throne where the queen sat with her wide rainbow wings and pleasant, unnerving smile. Beside her stood tall, erect silver guard fairies. Behind her a waterfall gushed downward, into a hole that undoubtedly led to the valley. Its sparkling freshness made me thirsty, but I quickly reminded myself of the poison. I would never want to drink water again. Would I even get a chance to before the plague consumed me? Guilt choked me as I remembered how I’d insisted Rhia should go to the river to fetch water, and how I’d urged Kari to drink more today. By all that has life and breath, what have I done!? We approached the throne, our confidence shattering at the sight of it. She ordered the silver guard fairies to take him away. I cried out for him, but it was no use. The one person I hadn’t wanted on this journey was now gone, and I had to admit I already missed him. This is a scene from chapter 5 of my ten-chapter fantasy novella, The Healer of Istagun, told from Tarquin’s perspective. Enjoy! To see the original chapter 5, click here. “Tarquin, am I going to be okay? Do you think I’ll get over this?” My sister Mara’s hollowed dark eyes pleaded me. I could hardly bear the sight of her weak figure and pale face splotched with tumors. Would she be sent to Winter with the dying ones before she got well enough? Before I could answer her, I heard a knock at the door. Wondering who it could be, I rushed to open it. Dahlia, with her wild brown hair and beautiful dark eyes, stood there, with a young Spring boy at her side. My heart stopped. “Hi, Dahlia,” I said in greeting. She blushed, no doubt surprised I remembered her name. I was half embarrassed I had. Dahlia’s face paled whiter than the sick ones. “We came here to…” She cleared her throat, but before she could finish, the Spring boy held out a basket of fresh buns. “Want some, sir?” His voice was small; I hadn’t seen a Spring boy in so long. He was adorable. Her concern for the sick ones warmed my heart. I wondered if she knew Gesu. Not just knew about him, but knew him, like I did. Gesu’s kind-heartedness, after all, inspired me to tend to these girls. I watched Dahlia for a moment as she stared around the room, as if searching for something, or perhaps someone. Then she and the Spring boy began handing out the fresh buns. Suddenly I noticed a green fairy entering the room. “Attention, everyone!” she shouted. “Queen Hazina has made a new decree for the lands of Spring, Summer, and Autumn: ‘All the sick must proceed to Winter.’ The ‘sick’ are defined by the queen as ‘those unable to work for her majesty.’ Therefore, if you do not stand up within five seconds, you will be taken immediately to Winter.” Four other green fairies stood by, with chains ready. I stood up straight, but the sick ones couldn’t even begin to sit up. I stared at Dahlia from across the room, not taking my eyes off her as her dark eyes drew me in. I hadn’t stopped thinking about her since Gesu’s miracle session a few days ago. She hadn’t wanted to marry anyone, but I could fix that. When the door closed sharply, I realized then that the fairies had indeed taken away the sick ones, leaving Dahlia, Kari, and me behind. I dropped my gaze from Dahlia, thinking of Mara, dear Mara. I should have tried to save her, to help her stand somehow. “Can I eat a bun?” Kari asked the young woman. After a pause, Dahlia told him he could have them all. The boat. She needed to see the boat. If we were some of the only few left well and alive in Summer, she needed to know about it, in case the time came for us to leave Istagun. Her willingness to follow me surprised me. Was I so attractive that I could change her mind about me within a few days? I led her down to the dark, filthy basement. Perhaps I was a fool to bring a pretty girl down to this place. I probably was just going to scare her off. Still, it was important she knew. I lit a lantern, revealing the boat I’d spent hours laboring over. “It’s called a boat,” I said quietly. “A boat?” She stared at me, almost blissfully, and my heart ached. “I built it, so I could one day travel across the seas, to the mountains. There are rumors about these people called Treelanders, who live in the forests. I want to meet them, to escape this Summer, and to be free.” I gazed off into the dark basement, remembering the stories I’d heard from the Gesu-following fairies. They dreamed of traveling to the Treelanders to live among them and share the goodness of Gesu with them. I lowered the lantern from my face, grimacing at her biting remark. So, she thought I was an idiot. I could change that. “Yes, Dahlia. He’s the only one who can save us.” I searched her face, willing her to believe me. Of course she believed. She had seen the miracles. But there was so much more to just believing in what Gesu could do. You had to believe in who He was. “I need to find my sister, Hollis. She’s been sick for years. I don’t know where she is, or even if she’s still…” Her voice cracked unexpectedly, and she turned to leave. I wanted to reach out and clasp hold of her small hand, but I restrained myself. “Yeah.” She took a step up the stairs. I stared at the back of her head where her dark curls cascaded down to her waist. I couldn’t let her leave. And we both knew that Gesu was the only cure to this plague. I watched as she stormed upstairs, her sobs resonating down to me in the dark basement. My heart went out to her. Both of our sisters were gone. Only Gesu could help us now. By the time we reached the village, the sky was dark. Everyone was asleep, so there was no way for me to find Hollis now. I said goodbye to Prima as she fluttered back to Gesu’s house to spend the night in her own bed. I’d ended up picking up Kari half of the way, and he had fallen asleep, his body heavy in my arms. The young boy was growing restless. “Yes. Here we are. Don’t worry.” I knocked on the little hut I lived in with eight other young women. I narrowed my brows, puzzled at her sour mood. It had only been two days. And there were so many humans that the fairies wouldn’t notice one of us gone, as far as I could tell. Before I could point this out to Rhia, a reeking odor wafted into my face, disgusting me. Holding onto Kari, I stepped back and looked around the room. Five of my roommates were lying in beds, sleeping, as would be expected at this time of night. But—I looked at Andrea’s bed. Rhia collapsed onto her bed, groaning loudly. So Andrea was in Winter. What was I supposed to do now? Choose between finding my friend and finding my sister? In the morning, I helped Rhia care for my roommates as I explained to her all I had found out in Spring. Kari stayed in the basement away from the sickness, playing with the dog Lucy. “What a twisted coincidence!” she exclaimed miserably. A coincidence indeed. It made no sense that two lands completely separated from each other could catch the same sickness. Did the fairies have something to do with this? Rhia’s face was so pale, and I did feel badly for leaving her with so much responsibility. Solemnly, Prima agreed to watch over them. That day, I searched house after house for Hollis and Kari’s brothers, including the fairies’ houses. We avoided the older boys’ and older girls’ houses though, since Kari’s brothers and Hollis were younger. I pretended to be visiting the sick, and Kari and I offered fresh buns to them that I had baked that morning. Some were too sick to eat. The tumors on their skin burdened my heart for them… and reminded me of Hollis. My sister who was still alive. My sister who was here, somewhere, in Summer, hiding just out of my sight. She had to be here. I stopped at the last hut for young women. I knocked, slowly, chills running up my arms even in the heat. The name and face of the man who opened it connected in my mind instantly, though I had only met him once. Tarquin. Was my sister here, too? “We came here to…” I cleared my throat, but before I could finish, Kari held out my basket of fresh buns. I searched the room for my sister, but she was nowhere in sight. Kari and I then proceeded to hand fresh buns to the young women. I whispered sympathy to them, but my throat was thick with grief, so my comforting words came out stiff and feeble. I noticed Tarquin dabbing a wet cloth on a young woman’s forehead. “You’ll be all right, sis,” he murmured. Silent tears coursed down my cheeks as the truth pounded inside me like a jeering taunt. Hollis would not be all right. She was dead! Why had I been so foolish to hope for her existence? My hope was destroying me, shackling me in lies I had no reason to believe. “Attention, everyone!” a green fairy roared. Apparently she had slipped into the room when I hadn’t noticed. “Queen Hazina has made a new decree for the lands of Spring, Summer, and Autumn: ‘All the sick must proceed to Winter.’ The ‘sick’ are defined by the queen as ‘those unable to work for her majesty.’ Therefore, if you do not stand up within five seconds, you will be taken immediately to Winter.” Four other green fairies stood by, with chains ready. I relaxed when I saw Kari hide behind a bed. They couldn’t know a Spring boy was here. Tarquin and I stood up straight, but the sick young women made feeble attempts to sit up. I stared at Tarquin from across the room, and he stared back, as the fairies took the sick girls away. The door slammed shut. It was only us now. “Can I eat a bun?” Kari asked quietly, eyes wide with hunger. I cursed myself for not thinking of getting the little boy breakfast. I usually didn’t eat anything in the mornings. Hesitantly, I followed Tarquin down to the basement. Tarquin lit a lantern, revealing an enormous wooden box, curved into a semi-circle at the bottom. “It’s called a boat,” he said quietly. “A boat?” My mind blanked as I stared into his penetrating dark eyes. “I built it, so I could one day travel across the seas, to the mountains. There are rumors about these people called Treelanders, who live in the forests. I want to meet them, to escape this Summer, and to be free.” He gazed off into the dark basement, but I sensed his mind wandered farther than the boxes and tools shelved there. Across the seas. I’d only thought about such things as a young child, questioning everything. The unknown didn’t bother me so much anymore. I’d long ago squelched my curiosity, knowing it would never be satisfied. But here I was, standing before a giant thing called a boat, with a man who built it in the wee hours of the night. A boat built on the foundations of dreams to journey far away from the cruelty of Istagun. There wasn’t much of a point in journeying far away when Istagun needed healing. We had to do something about this plague. Tarquin lowered his lantern, so shadows covered his expression. That terrified me. Was this strange man hurt by my words? “Yes, Dahlia. He’s the only one who can save us.” He searched my face, as if willing me to believe him. Of course I believed. I had seen him do miracles. Yet his earnestness mirrored Prima’s. Perhaps there was more to believing in what he could do. Perhaps you had to believe in who he was. “I need to find my sister, Hollis. She’s been sick for years. I don’t know where she is, or even if she’s still…” My voice cracked unexpectedly, and I turned to leave, as tears threatened to spring from my eyes. I couldn’t tell this young man anything. “Yeah.” I took a step up the stairs. I could feel his eyes on my back. I couldn’t hear the rest of his words as I fled up the stairs, sobbing into my hands. Hollis was dead. If I had any hope left, it was that Gesu could bring her back to life. When Prima and I reached the tiny huts, horror shot through my veins. A small redheaded girl was lying dead on the ground, her body covered in tumors. As we drew closer, I saw that many bodies of children scattered across the ground, with living children mourning over their brothers and sisters. I felt like a peach seed had caught in my throat that I could not swallow. I didn’t know if I wanted to gaze at the sight out of silent reverence or turn and run away from the overwhelming spectacle. I enveloped her in my arms, as tears slipped down my own cheeks. “Come on, Prima,” I murmured, trying to build a strong wall around my heart so it wouldn’t break. When Prima only cried harder, her wings unable to flutter, I gathered her up in my arms and carried her slowly through the children. Soon we reached the familiar thatched hut that had branded a place in my heart. I had never knocked on this door before, but because it had been so long, I felt I no longer had a right to just walk in. At the sound of my knocking, a yellow fairy opened the door. Her usual sunny smile was replaced by blue eyes filled with pain. “Who are you?” she asked quietly. “I’m here to see Hollis.” I averted my eyes from her. Perhaps my slim eighteen-year-old frame looked young enough to be thirteen. After I set Prima down in a cushioned-back chair, I stared blankly around the half-empty room. A few young boys and girls lay in beds, and the Spring fairies rocked crying infants in their arms. But many of the beds lay empty, including Hollis’ in the far corner. My heart broke into fine pieces. How could she say that, after she had seen so clearly the devastation outside? Hollis was dead. I should have known. “Maybe she got better, and they took her to Summer.” Prima shrugged. When I just stood there in a trance, Prima pulled me gently out of the hut. Her words shook me. She was just stating the facts, that was all. Hollis was probably dead, but if I wanted to keep hoping, I had to go to Summer. If there was any hope for anyone, it was in Summer. Had Hollis been in Summer for weeks, months, or years, and I simply hadn’t seen her? I ached at the thought. Had this trip to Spring been pointless? I wanted to laugh at her joke, for it was only slightly cooler here than in Summer. No doubt Winter was much worse, if water actually turned into a solid there. But I only grimaced for the sake of the horrors surrounding us, as I clutched Kari’s little hand. A young girl carried a bucket of water on her head, stepping in between the children’s bodies. She brought it from the river, I knew. The river that quenched the thirst of all four seasons. There were not many children to taste the cool refreshing water anymore. We trudged slowly back to the mud wall. The stench of death filled my nostrils, making me light-headed and nauseous. Deep within me, I bled for the children. Whatever had caused this, I could not stand by and do nothing. As I searched for Hollis, I had to search for the cure of this awful plague as well. I _____ (verb) _____ (adverb) across the bridge, hoping to prove to Shauna that I was truly _____ (adjective). The layer of (plural noun) over the river was _____(adjective), but I didn’t mind anymore. I was elated at my discovery that my ______ (plural noun) could be conquered. A sparrow in a (noun) across the bank (verb) at me, but then (verb) away in a panic, along with its ______ (adjective) family. The next morning, Prima and I traveled in silence along the winding paths that led to the mud walls. Forest trees surrounded us, the branches brushing roughly against my skin as Prima flew swiftly in and out of them. “Hurry up, girl!” she sang from somewhere ahead of me. Reluctantly, I bounded forward to catch up with her. I rubbed the swollen lumps of skin on my fingers from yesterday’s beating. I had been daydreaming about Hollis the whole day, and the green pixie had had no mercy for my inattentiveness to the plow. The powers worked especially on Andrea. Poor Andrea. This pixie wasn’t an overseer of the human slaves, or a scholar, or a servant of Queen Hazina. Who was she? Prima said it casually, but I stared at her in disbelief. She sped ahead of me through the trees, not looking back at me. The verdant branches concealed our view of the mud wall, but somehow Prima seemed to know exactly where we were going. “What makes you a servant of a mere human?” I cried incredulously, sprinting after the fairy, my heart pounding as I threw myself forward into the trees. When I gasped at this revelation, she darted ahead into an open glade where the afternoon light poured gloriously through the trees. There, towering above all the forest trees, stood the mud wall that so defined Istagun. Beyond the wall was the land of Spring, where Hollis waited for me. I had never seen the wall so close up before. Sure enough, strands of hair matted it like it was a giant nonliving beast. “So?” I looked at Prima expectantly. I didn’t know what I was saying. I could do nothing to this pretty, innocent fairy, and I had no reason to. Yet there was something about her that utterly disturbed me to the point I wanted to grab hold of those fragile wings and tear them apart. “Well, sure! You can fly—but what about me?” I tried to steady my voice, but it came out sharp and quick. Maybe since I wasn’t around any ordinary green fairies, their powers of making humans docile were wearing off on me. Or maybe I finally had a chance to see the one person I truly loved, and I was afraid it would all count for nothing. “Yes, we must do this together,” Prima said firmly. Then she swung her blue wand at the mud walls, uttering a flurry of words I didn’t understand. The mud wall stood motionless, unaffected, like a turtle unharmed by a pebble thrown at his shell. As we stared at the wall in hopelessness, we saw movement. And suddenly, like an egg cracking open, the giant wall split in half, moving apart. All at once, a long line of silver fairies flew out, disappearing through the trees before we could get a good look at them. Messenger and transporter fairies. I’d seen them many times. They brought news from the villages to Queen Hazina, along with the various food each land produced. This wall didn’t open because of Prima’s powers; it opened for these fairies. Prima and I stared at the large gap in the mud wall before we rushed forward to enter Spring. But just as I was about to take a step into the fresh grass of my old home, the mud walls shut close before our eyes, the hairy fortress bending and reshaping itself into a monster with giant hands. I tumbled backwards, into the dry ground of Summer. Prima screamed as the beast clasped onto her and brought her up to his face. In desperation, I pounced on the wall monster and tried to climb up to her, but fell quickly again into the dirt that tore into the scars on my back. Soon the monster plucked me off the ground with his other hand, his strong grip terrifying me more than anything I’d experienced in my life. His eyes were simply hollowed-out mud, their emptiness penetrating me. “Gesu-followers,” he muttered, before tossing us carelessly out into the Summer forest. I clung to the top of a pine tree, as Prima flew to me, tears streaming down her pale face. I laughed at the idea that the monster thought I followed Gesu. Gesu was my only hope, but I wasn’t going to follow him. Who was he that I should follow him anywhere? Gritting my teeth together, I silently climbed down the pine tree, stepping on the slim branches until I slid and tumbled to the ground. “What is there for us now?” I said numbly, as Prima fluttered down beside me. I bit back a grin, and we said nothing for a long while. The sky darkened, until stars began twinkling softly. My mind rested, peace filling my empty stomach like nothing I’d felt before. Gesu’s peace? No, it was Prima’s powers. I grimaced. She was a soother fairy, after all. “The stars are talking, like always,” Prima whispered, laying her little blonde head on my shoulder. My heart melted at her touch. She reminded me so much of Hollis. “How are they talking?” My mouth quivered into a smile at her naivety. Jumping to my feet, I hastened back to the mud wall, Prima not far behind me, laughing merrily. The mud wall monster was awake, letting more fairies pass through. When he noticed us, the monster glared at us, shaking his head gruffly. “Not you two again!” His voice thundered, making the earth and our hearts vibrate fiercely. Prima nodded to me, then brought out her blue glass wand and waved it in the air, humming softly. As she cast the spell, the great mud wall monster began to close its hollow eyes, falling into a deep sleep while its walls still stood parted, leaving a gap—an entrance to Spring. “He’s snoring!” I declared incredulously. Prima put her slim finger to her lips, hushing me. We tiptoed between the walls into the soft grass of Spring, where the smell of flowers and fruit hung in the air as undeniable as the sound of children. But the young voices rose not in joyous laughter as they had often when I’d lived there. Instead, they tore the sweet-smelling air with the sound of weeping and tears. This is the second chapter of my ten-chapter fantasy novella. I will be posting a chapter every week. Click here to read Chapter 1. Hope you enjoy! I knocked at the door of the thatched roof house. Tap, tap. Ratta-tap. I waited for a moment, then knocked again. I found it funny that she’d call me little, when I was a foot taller than she. Though I supposed eighteen was young compared to the hundreds of years the fairies lived. Tears came, whether real or pretended I could not tell. I was sorry about my sister and in a hurry all at once. Sinking to my knees, I begged the fairy to help me. Suddenly I heard the high chatter of several fairies at the door. It worked. Of course it did. That was the fairies’ weakness. They gave into sympathy far too easily. “Get along, ladies—I’ll do the work. You know you can’t be seen.” And with that the fairies’ chatter disappeared before I could ever see one of their faces. Her light green wings beat steadily, as calm as a Spring fairy’s would. I’d never seen a Summer fairy so calm. Or maybe it was I who felt calm in her presence. I imagined the rippling of tall grass and a faint coo-coo of a dove from the woods. Suddenly conscious of myself, I glanced at the wand in her hand. Prima. She must be the soother fairy—after firing up people’s emotions first, of course. The fairy touched my cheek with her long, slender finger. “No more tears, Dahlia,” she said. I nodded, slowly. Maybe I should get to sleep. Wait, what was I thinking!? Prima lead me into the living room to Gesu, who was seated on an armchair, staring into the fireplace. When he saw me, he ushered me in to sit down on the couch. The man was broad-shouldered, strong, yet he slouched in the leathery chair as though he was a small fairy with droopy wings. “Why have you come?” he asked, his intense, soulful eyes staring into me. My cheeks burned. I realized all at once how foolish I’d been to come here and interrupt this man’s rest from the day’s chaos. Prima looked at him in dead silence, paled, flapping her wings slowly in the shadowy corner. I was speechless after that. Gesu and Prima did not speak either, as if waiting for me to say something, but for some reason I did not know of anything I wished to say. “Who are you, Gesu?” I said, because it needed to be said, because if it wasn’t said, I wouldn’t know what to do. Was he trustworthy? When the door to another room shut, I gazed at the pictures on the walls. A painting hung on the wall for each stage of Gesu’s life: first as a newborn, held in the arms of a mother; then as a boy, smiling with a bouquet of flowers; then as a teenager, hard at work in the mines; and then as the forty-year-old he was today, smiling with Minerva by his side. The last one must have been painted today to celebrate her healing, I thought, although bewildered. Even more perplexing was the fact that at each stage, he was surrounded by fairies—not one brand of fairies, but a colorful mixture of yellow Spring fairies, green Summer fairies, orange Autumn fairies, and blue Winter fairies. I had never realized what color the Autumn and Winter fairies were, but now it was obvious, as if I had known it all my life. Were those the fairies I had heard chatting earlier, the ones Prima had shooed away? Soon Gesu and Prima returned; Gesu, solemn, Prima, smiling. I tried to laugh, but it came out short and stiff. Why was I afraid of him? But how? I wanted to ask. What was he going to do about the mud walls? The pixie’s wings fluttered ever so slightly as she gazed up in admiration at the huge man. I shivered, even though the regular warmth of Spring encased me with sweat. I didn’t know what Gesu meant, or who he was. I didn’t know if I could trust him, or this dainty fairy who baffled me almost as much as himself. What if this was a trap? What if Gesu was trying to get rid of me, to let me face the wrath of Queen Hazina, the ruler of Istagun, the builder of the towering mud walls? All I knew was that Hollis needed me. And she was worth whatever risk I had to take.